Between a new trailer and the first gameplay footage, there has been a lot of news about Star Wars Battlefront II coming out of EA Play this weekend. In addition to all the news about the game itself, we've also learned a fun tidbit about the Battlefront II tie-in novel Inferno Squad by Christie Golden (Star Wars: Dark Disciple). 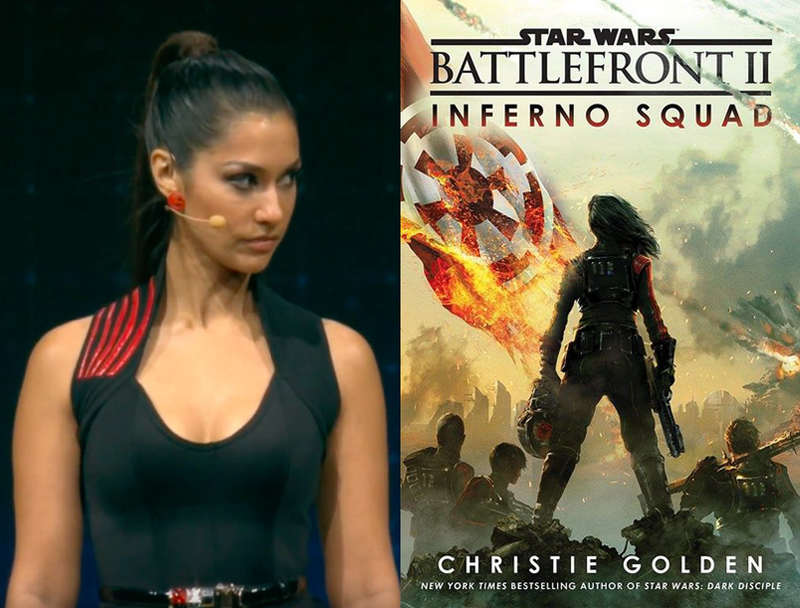 This weekend it was revealed that actress Janina Gavankar, who will play Commander Iden Versio in the game, will narrate the audiobook. This was first reported by Florian from Jedi-Biblithek on Twitter. The actress later confirmed the news, tweeting, "Secret is out? I can talk about this now?? Tis truuue!!!! And Ms. @ChristieGolden has me so emotional with this backstory." Golden also shared her excitement on Twitter, saying, "<3 Cannot WAIT to hear your performance!"